Trump’s tariffs pose risks on both sides of General Motors’ supply chain, according to Cox Automotive economist Charlie Chesbrough. The cost increases that GM passes onto consumers will lower demand for its cars. Those cost increases that aren’t passed onto consumers will impact GM’s bottom line. 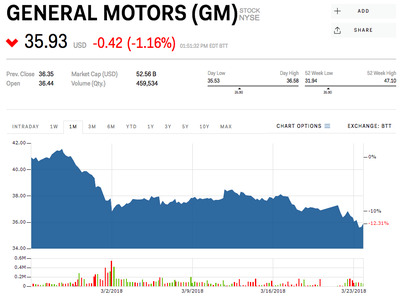 President Donald Trump’s tariffs pose a risk to General Motors on two levels, economist Charlie Chesbrough of Cox Automotive told Business Insider. Those risks pertain directly to the company’s US business. Trump announced a 25% tax on imported steel and a 10% tax on imported aluminium on March 1. With steel and aluminium prices going up, the cost of producing a $US30,000 car will increase by roughly $US200. And while experts say the tariffs won’t cause too much of a problem for consumers, they will have an impact on the automaker. The tariffs will have a “two-fold effect” on GM’s net income, according to Chesbrough. Since GM would likely pass along at least part of the cost of a new car to consumers that would cause demand to drop “a little bit just because a few more people wouldn’t be able to buy it anymore,” he said. But the bigger problem is likely the impact the tariffs will have on GM’s bottom line. The automaker sold about 3 million cars in 2017. Assuming GM passes along half of the increased cost ($US100) to consumers, its own costs will go up by approximately $US300 million. That would have a notable impact on the company’s bottom line. 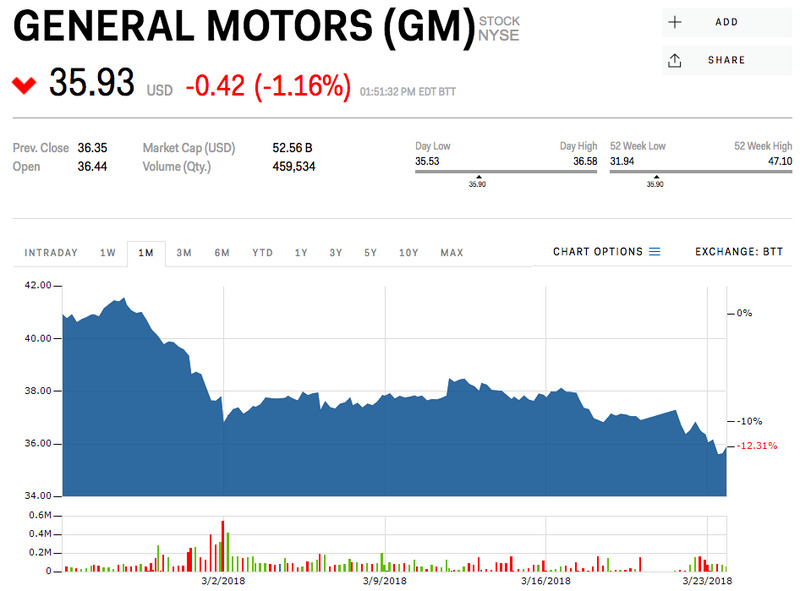 General Motors is down about 12% in the past month.